We did it! 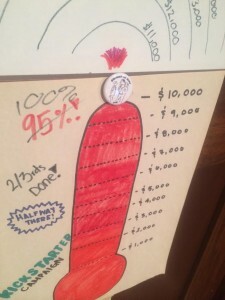 We’ve officially achieved 100% of our goal! Now entering “Stretch Goal” phase. New goals and rewards in the works. Thank you so much to all 165 of our backers for donating and spreading the word. Let’s see if we can go even higher! Previous PostINDIEWIRE PROJECT OF THE DAY + 90% REACHED!Next PostIntroducing the Mirvishscope!